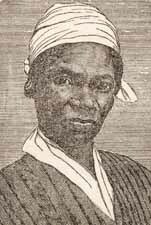 Sojourner Truth, d. 1883 and Olive Gilbert Narrative of Sojourner Truth, a Northern Slave, Emancipated from Bodily Servitude by the State of New York, in 1828. Narrative of Sojourner Truth, a Northern Slave, Emancipated from Bodily Servitude by the State of New York, in 1828. Slavery -- New York (State) -- Ulster County -- History -- 19th century. Slaves -- New York (State) -- Ulster County -- Biography.